It’s been a quite a few years since the summer I spent watching Jillian Harris do her level best to find the perfect man on Season 5 of The Bachelorette. Fast forward to the beginning of 2016 and I find myself in the same position, this time with 27-year-old Hoosier heartthrob Ben Higgins. A number of things have changed in those seven years, like the price of bitcoin and the existence of this blog, while others haven’t, like my relationship status [single], ABC’s continued broadcasting of the search for love, and The Bachelor and The Bachelorette‘s respective track records with race. 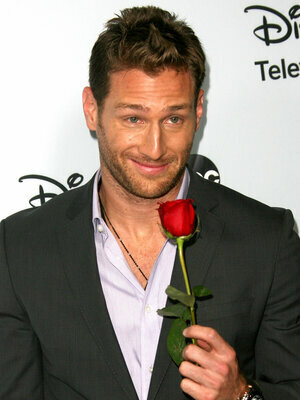 Is Race on The Bachelor/Bachelorette Really an Issue? Luckily for me, I’m not nearly the first person to cover this topic. Of particular note is Karen X. Cheng’s “Minorities on The Bachelor: When do they get eliminated?”, which lists the contestants who were racial minorities on both shows and, as the title suggests, exactly what week they did not receive a rose. Worth keeping in mind is that as of 2014 The Bachelor was in its 18th season, and The Bachelorette in its 10th. Check out more specific, well-designed graphs by heading over to the article itself. Cheng noted that there appeared to be a drastic spike after 2012, during which there was a class action lawsuit leveled against the series regarding “the deliberate exclusion of people of color from the roles of the Bachelor and Bachelorette underscores the significant barriers that people of color continue to face in media and the broader marketplace.” While the lawsuit was later dismissed she posits that the sheer amount of negative press the show garnered is what resulted in the network scrambling to make a change so quickly. Not to say that the SNL writers’ room has any precogs on staff, but the 11th episode of their 41st season was filmed before a live studio audience on January 23rd, and it wasn’t until roughly a week later on February 1st that Jubilee Sharpe, who Sasheer Zamata appeared to be parodying, exited The Bachelor. With the general knowledge that The Bachelor and The Bachelorette have always been and, ostensibly, always will be predominantly white shows it should only be expected that its creators may have a few words to share about that fact. As mentioned I’m one of many to cover this topic, but I may actually be the one who most fully, unabashedly enjoyed an interview that NPR conducted with host of The Bachelor and The Bachelorette Chris Harrison, with an initial focus on his novel The Perfect Letter. Much to my delight the staff member fielding the questions ended up broaching the topic I’m covering, which is such a roller coaster of good intentions and hellishly awful excuses that I couldn’t help but feature as much of it as possible in this post [with my own thoughts interspersed to justify copying and pasting so much text]. Another social critique people have brought up is the lack of diversity, that over a decade now, many [sic] season, there’s not been much diversity — or any, really, in terms of the Bachelors or the Bachelorettes. They’ve all been white, right? Well, I mean — it’s tricky. I guess if you don’t count Latinos or Greek or whatever. I think honestly, diversity has a very specific face. And that’s African-American. Right. But we’ve had — say, Juan Pablo was two Bachelors ago. To avoid putting words in Harrison’s mouth by quoting him directly, he states that diversity’s “specific face” is African-American. While not something I entirely agree with, I will concede that for much of North America this may be how the term ends up being defined most people. That being said, he then cites the light-skinned, light-haired, light-eyed Latino Juan Pablo Galavis as being “as diverse as you could possibly get.” Now diversity certainly goes far beyond looks, and not having seen the 18th season of The Bachelor I have no idea how culturally Latino Galavis was or is, among other unseen factors. What I do know is that Harrison’s initial definition of diversity certainly doesn’t match up with the single example he highlights, no pun intended. OK, so there’s been one Latino candidate so far. Yeah, and I think you’re right. It hasn’t been 50-50, for sure it has not. Would we love to get better at that, and will we get better at it? Sure we will. But it also takes, unfortunately — we’ve done a little bit of this ourselves, we’ve dug this ditch — but we don’t get the same cross-section of casting. People that come to our casting sessions, that apply for the show. You don’t get the same amount of Caucasian, African-American, Asian, Latino, whatever, to choose from. There’s definitely some of that. And I appreciate you talking about it like this. So what would you do going forward? Do you have plans going forward? I don’t care, whatever — take race out of it. Save the whales. We’re going to make the entire show about saving the whale or the spotted owl. Well, that’s great. But what happens when our show is off in six months, and you’re not watching it anymore, and now hundreds if not thousands of people are out of a job? -like former Bachelors taking part in a Chopped-esque cooking competition. The next idea is just as worth contemplating, because it centres on the idea that having more non-white contestants would utterly tank the show, which, [according to Harrison] would in turn be a blow against diversity. His argument about the minorities who rely on The Bachelor and The Bachelorette for a living doesn’t even stop there, either! But wait, there’s more! And by the way, the people that work for us behind the scenes — I know that we haven’t done a great job of representing on camera. But off camera: white, black, Latino, Asian, straight, gay, men, women. I mean, that’s who works on The Bachelor. That’s who works on every production in Hollywood. And so we also want to keep all of our jobs. 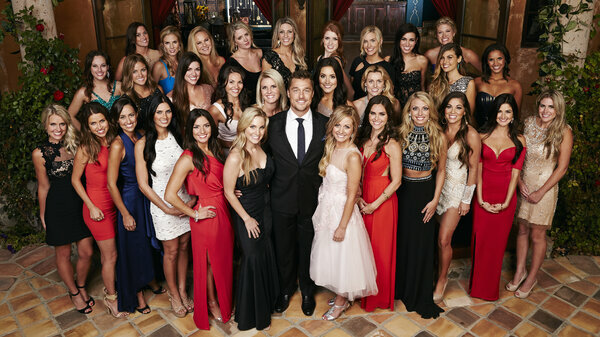 19th Bachelor Chris Soules and the 30 women competing for his affections. And so we’re going to do the best job we can of reaching diversity, having more of that represented on the show. And to that end, we’re going to try and cast the show better. Try and make it more open to try to draw people in. More welcoming to bring these people in that haven’t seen their face represented on the show before, or on network TV. We’re going to do our best. No, I think you have a social responsibility. In anything you do, you have a social responsibility. To disregard that and to act like that doesn’t exist is irresponsible. But with that said, it’s also irresponsible to walk into something and have rose-colored glasses and saying, “I’m just going to represent this social issue on this network show for a billion-dollar network and industry and act like I don’t care.” Because I can’t do that. The producers can’t do that. You can’t. Advertisers have to buy this show. Advertisers have to buy the next season of the show. I need millions of people to want to watch this show. So I need to put on people that others want to watch. And I don’t care — let me tell you something — if you’re white, black, Asian, whatever — if I think a million more people are going to watch, you go in that direction. Because that is what’s going to sell and be a successful business. But, to that end, to go in and just say, I have no social responsibility on the show regardless, that’s silly. To wit, “yes, we have a social responsibility” but “I need millions of people to want to watch this show” [i.e. do whatever makes the most money]. It’s also fascinating to break down the idea that he’s not even saying that “taking a great social stand” and taking a risk are mutually exclusive. There’s the implication that it would be a risk that ultimately culminates in disastrous failure. “We’re going to do our best,” provided that it doesn’t even carry the suggestion that our ratings may drop a fraction of a percentage. “And I don’t care if you’re white, black, Asian, whatever,” if it got you to watch our show I would catapult Velcro-covered singles at each other just to see which ones could stick it out, haha. Will we ever see a bachelor or a bachelorette who is not white? I think Ashley is 1/16th Cherokee Indian, but I cannot confirm. But that is my suspicion! We really tried, but sometimes we feel guilty of tokenism. Oh, we have to wedge African-American chicks in there! We always want to cast for ethnic diversity, it’s just that for whatever reason, they don’t come forward. I wish they would. Just throwing this out here, Fleiss, but using the term “wedge in” makes it seem like they don’t really fit to begin with. I also really love that you have that suspicion and you’re really running with it. So How Is This Season of The Bachelor? Relentlessly entertaining. Especially given the fact that Ben Higgins appears to be genuinely serious about finding a wife on this show, meaning that he absolutely doesn’t suffer any drama. Oh, wait, you meant when it comes to race, the topic of this entire blog post. On that note . . .
. . . it could be doing better. While not a fact ignored in Fallon’s article, over at Vocativ it was pointed out that “Ousting Jubilee on the first day of Black History Month was pretty bad optics”. The writers found roughly 11,000 tweets covering that very unfortunate lining up of events, significant in the context of online chatter about The Bachelor. Now I don’t for a second believe there was any intended maliciousness on the part of ABC, Chris Harrison, or anyone else involved on the show; that would be ludicrous. The reason it’s an issue at all is because there are so few non-white contestants to begin with. Every single non-white man or woman eliminated is an [unsurprising] event in and of itself, so to have these two coincide is an unfortunate occurrence that brings attention to their general scarcity. It’s what led to Fusion very recently compiling “A history of black contestants on ‘The Bachelor’ and ‘The Bachelorette’”, which revealed among other things that [emphasis theirs] “more than half—59%—of black Bachelor and Bachelorette contestants leave the shows within two weeks.” With those kinds of statistics is it any wonder that Fleiss sees their inclusion as being “wedged in”? Given a track record that shows them moving significantly less far, on average, than their white peers it’s no wonder that the network appears to be choosing to include the bare minimum. For many audience members, as SNL pointed out, Black men and women are perceived as being doomed to fail, there’s just no drama there. If anything, it appears that a conversation involving The Bachelor, The Bachelorette, and race is needed more than ever, and given our current cultural climate that’s really no surprise. We know that given enough voices crying out change is bound to occur, so with that in mind what should we expect moving forward? When it comes to diversity outside of Harrison’s “specific face” things do in fact look slightly better. As of this writing Caila Quinn [on the right], who is half-Filipina, is one of the final four women left for Ben to choose from, meaning that she’s guaranteed a hometown date. As Cheng pointed out in her article Catherine Gidiuci, another half-Filipina actually won Season 17 of The Bachelor. There are various other examples that act as exceptions to the idea that non-white contestants are unable to get ahead, but they remain as few and far between as the non-white contestants themselves. Fallon mentions in her article that “the hilarity of describing a single person as diverse, of course, is apparently lost on them,” but ends up admitting [as I do] that this impending change of course if undoubtedly a good thing. Especially now that what took place on February 1st has come and gone the onus lands heavily on ABC to actually do something different. It only remains to be seen whether the impending shift is temporary, much like the spike in 2013 post-lawsuit, or an actual precursor of a more diverse status quo. How much of a “risk” ABC will end up taking has absolutely everything to do with how race and relationships are currently viewed in North America, yet any decisions made could end up having a powerful effect on that very thing. As Harrison himself said, it’s cyclical. It’s not to say that the continued existence of interracial relationships [or relationships between non-white people] hinges on a reality dating show, but our perception of them is affected by the media whether we care to admit it or not. While certainly not Ben Higgins’ intention [he’s just trying to find a wife, okay] his season has brought both The Bachelor and The Bachelorette under the microscope of public scrutiny once again. Will the next Bachelor or Bachelorette be a person of colour? Regardless of their race, will they have a pool of suitors to choose from that’s more than 20% non-white? Yes, we’re talking about a form of entertainment that some might deem lowbrow, but it continues to have a viewership in the millions. The creators do have, as Harrison put it, a “social responsibility”. Season 12 of The Bachelorette is predicted to premiere sometime this year, and we’ll all get to see whether Mike Fleiss, Chris Harrison, and the people at ABC end up putting their money with their mouths are. The risk of losing that money is balanced by the potential to affect cultural change; whether or not they view those scales as being even will be made known very, very soon. This entry was posted in media, race, relationships, television and tagged ABC, African-American, Ben Higgins, black, Black History Month, Caila, change, Chris Harrison, contestants, diverse, diversity, interracial, Jubilee, Karen X. Cheng, Latino, lawsuit, Mike Fleiss, race, racism, relationships, risk, social responsibility, suitors, television, The Bachelor, The Bachelorette, TV, white. Bookmark the permalink.